I represent clients in Goshen, NY and throughout the Hudson Valley. Schedule your initial consultation with an experienced lawyer by contacting me online or by calling 845-294-2616. Harvey Kallus has represented me for over 15 years. During that time, I have relied heavily on his expertise, sound judgement and legal advice. 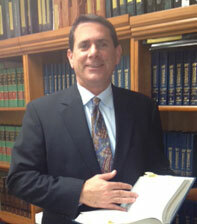 He has guided me handily through challenging legal matters. I recommend him wholeheartedly to anyone in need of sound legal advice and representation! Mr. Kallus is a very passionate and determined lawyer. We were in a very long and trying custody trail. Harvey never let me down, he kept me well informed, and I always felt comfortable with him. He was also successful; I was able to keep custody of my children.